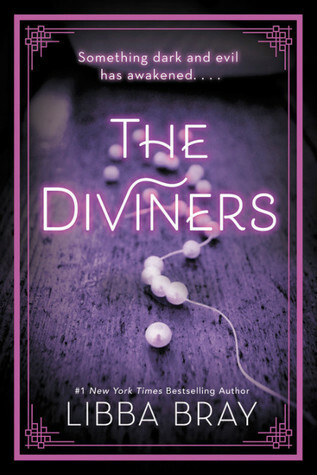 Libba Bray’s The Diviners was thrilling to read; I did not want to rip myself away from the 1920s world Bray crafted of flappers, murder, mystery and an impending evil that is being felt by the diviners (those who have supernatural powers to see, feel and predict). Evie is seventeen, bored with her restricted family life but also aware she has powers, which she sometimes uses at parties to liven things up. This gets her into trouble and she is shipped off to live with her Uncle Will in NYC as a punishment. Uncle Will is a college professor who also owns the Museum of American Folklore, Superstition, and the Occult. As soon as she reaches NY, Evie accompanies the police with her Uncle Will and his student, Jericho, to the scene of a murder and it is when she touches the dead girl’s shoe buckle that she sees the girl’s murderer. It is in this bustling NYC that we also meet many other characters with powers and pasts they want hidden; Theta, Memphis, Isaiah, Blind Bill and Miss Walker. What is particularly mesmerizing and unpleasant is evil of Naughty John Hobbes; as more are murdered Evie, her Uncle Will and Jericho try to unravel a mystery that involves ghosts, haunted houses, demons, and evil in 1920s New York. I can’t wait for the second book! Sign into Goodreads to see if any of your friends have read The Diviners. Absolutely loved this one. Libba is back to her Great and Terrible Beauty style! Yes I was not a fan of Beauty Queens!